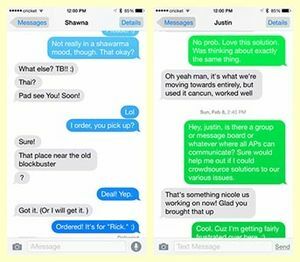 Many of iPhone/ iPad and mac user are finding way to change imessage color or change color of text bubble on iphone. There are few ways to do that by different methods. 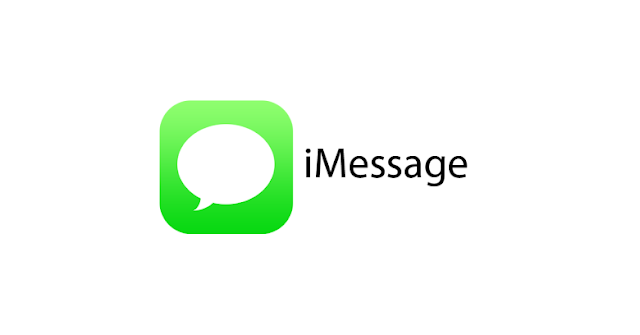 iMessage is a very popular app among iPhone user and used by most of the iPhone users. Apple have designed this app in a way most easily customizable app. 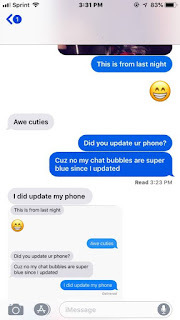 Despite that, there does not seems be a direct way to change the text bubble color or to customize the colors of the message bubbles in iMessage. Many iPhone users after upgrading to iOS 12 are finding message color darker than before in iOS 11. It is not creating any issue in iPhone message but you can see message color getting much darker in iOS 12 now. Some user are finding this uncomfortable as they are used to of older color scheme of iPhone/ iOS 11/ iOS 10. Even the iPhone 6 has color issue in iOS 12. Not all iphone owners are experiencing this issue but many of them are seeing change in color of message of iPhone. 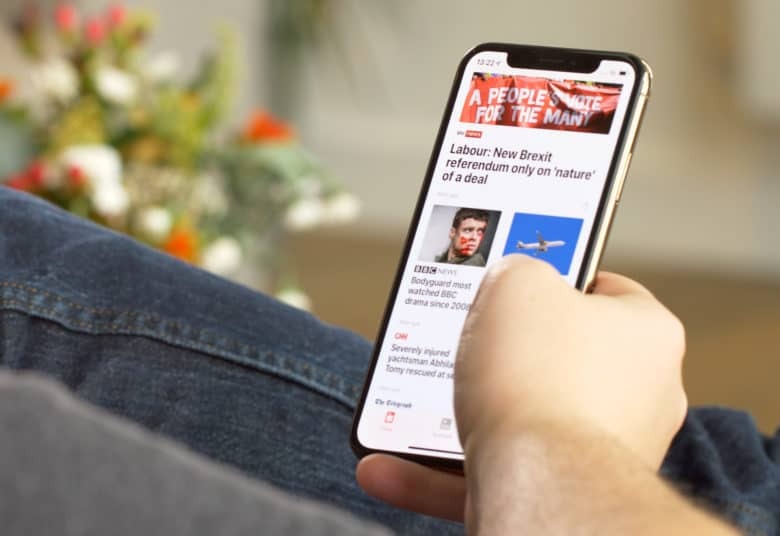 But it is sure that the contrast issue is majorly reported in iPhone after upgrading to iOS 12. Some of the user even did a hard reset or ios restore but nothing seems to fix the issue. 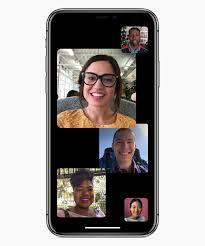 We have added some solution to fix high contrast message in iphone with iOS 12.
iOS 12 facetime live photos not working :You won’t see a white circular button on FaceTIme screen nor seeing a toggle button on FaceTime settings. The feature have ben removed from the iPhone and hopefully adding group FaceTime in the future update also brings Live Photo feature back. iPhone X/8/7/6 users after upgrading to iOS 12 are facing issue in mail push notification not working for sub folder in any mailbox. In iOS 12 notifications are received only from the inbox mails, but not from the subfolders. This is really a big problem for iPhone users who are using mailbox with hundreds of sub folder and rely upon them for any notification. Even trying to delete and add the mailbox will not help to fix the issue in iPhone with iOS 12. But in iOS 12 there are no notification for subfolder mails anymore and before iOs 12 the notification works perfectly for each subfolder/mailbox. Apple have suggested to add the folder as additional mailbox but not working for many users as still no notification for subfolder emails in iPhone 8/7 with iOS 12/ iOS 11.2/ iOS 11.4 also. 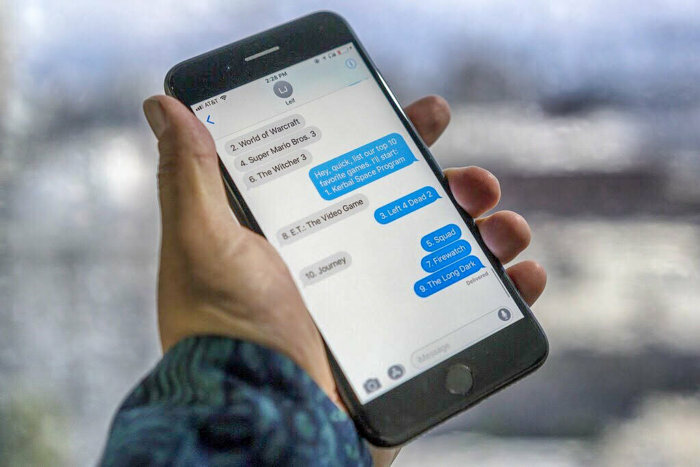 Many iPhone Xs/8/7/6 usersafter upgrading their iPhone to iOS 12 are facing issue with iMessage that when they send message to one iphone , it goes to other iphone. Soon after tapping the send, you can see the contact name on the top change from one name to the other. The iMessage Is seen only when all users use same AppleId. Even the replies from iMessage are mixed up. And sometimes the users is not able to send iMessage to one particular contact. Now if you send group message all of them work just fine but only direct individual messages are delivered to wrong contacts. The iMessage issue is surely to do with iOS 12 as in iOS 11 it was never seen with iMessage. 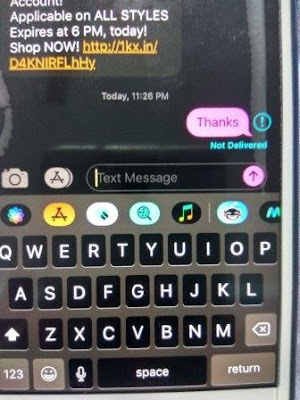 The issue is so annoying that user have no idea who is sending the text or who is supposed to receive the text in iMessage. In iOS 12 iPhone Xs/7/6/5 users are reporting that iMessages threads are merging for different contacts. If you are texting with one user in iMessage all of sudden some other contacts start to appear in that thread from nowhere. The iMessage is not able to maintain thread properly and mixing up messages in threads and showing message from different thread. The issue is seen with iPhone users using same AppleId. Suppose four people using same applied try to imessage each other the messages will start to appear in other contacts message thread. With same apple id the imessage threads are mixed up in iPhone/ iPad. The issue of iMessage not working with correct thread list is not seen with iOS 11 but in iOS 12 is reported by wide users. iPhone 7/8/X users while trying to share photo/video with airdrop are unable to share the photos and getting error “Unable to Share-There was an error while preparing to share. Please try again later”. While making sure that the Bluetooth and wireless are turned on all Apple devices still user is unable to share photos and media. Not only photos but for messages etc the airdrop is giving error message “Unable to Share”. The issue started in iOS 11 and now reported with iOS 12 in some devices. 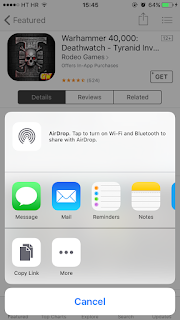 How to fix iPhone not able to share photo from AirDrop or airdrop unable to share : Fix 1: Airdrop settingsPlease make sure that all devise are on same Wi-Fi network. Also make sure any device that might offer has Hotspot turned on. It is also requisite that receiving device have sufficient free storage. Check Settings > General > iPad Storage and be certain you never have less than 10% of the total storage free. iPhone Xs/8/7/6 users are facing iMessage merging different contact conversation to one thread after iOS 12 update. One iMessage thread shared between two contacts in iOS 12 on iphone/ipad. This iMessages from different contacts combining to one thread issue is mainly faced by iPhone users with iPhone users with same apple id. The messages merge will start to happen randomly at any moment and even if you delete the merged thread and start two new ones (one with each person) it may work for a short time, then out of the blue they will be merged again to one single thread. The imessage merge issue was not happening before the iOS 12. This is really big issue in iMessage for users who are using single Apple id on multiple iPhones as the all the conversation will be mixed up and start to merge into one another. The problem becomes much serious when user can’t reply to message thread but only last one who messaged him. But there are no updates from Apple about this bug. 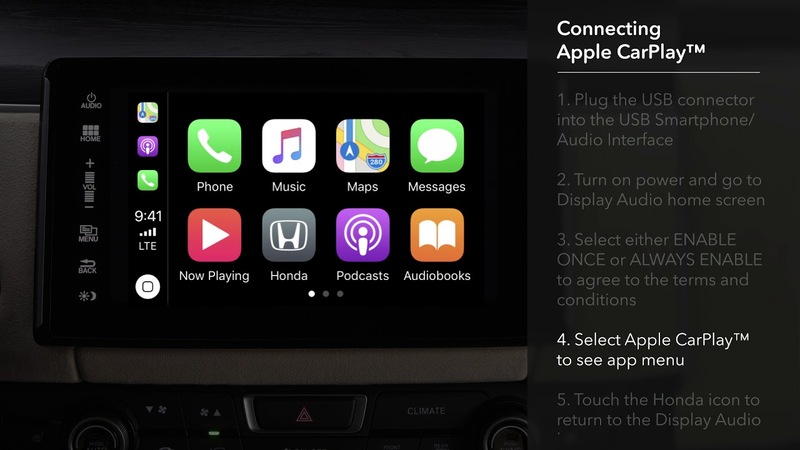 Many user after upgrading to iOS 12 are facing issue in using Google maps with carPlay. The microphone doesn’t work with waze or google maps. If you launch the google maps app on CarPlay using connected lighting cable the app opens and click on the microphone icon the app can’t hear you. However by disconnecting the cable if you try with your iPhone the microphone icon works good and the can hear your voice. Even it is made sure that user have allowed microphone access to google maps and have made sure in settings it’s unmuted but unable to use phones microphone when trying to use the microphone icon inside the app in Carplay for apps like Waze and Google maps. The issue is reported against all types of cars eg Honda, Acura , Hyundai and Kia etc and almost all of them have reported the same. The app says listening but can’t hear anything.